1: What hours do you offer live chat support? A: We are available online 24 hours, 7 days a week. If you do not find us online, just send us an offline message or email at [email protected] You will be surprised at how quickly we respond to queries. 2: What is your ordering process? A: It’s simple: 1) Just fill up this online form (no registration required). You will receive a free quote usually within 1 hour. If your assignment requires certain technical expertise, we may take up to 6 hours to find a suitable writer. 2) If you are satisfied with our quote, you can confirm the assignment by making a payment. 3) Once the assignment is confirmed, we will send you the completed assignment before deadline via email. 3: What kind of papers can you prepare? A: We can help you with almost any of your coursework requirement as long as the medium of instruction is English. Please visit our services section for further details. We have experts in diverse subjects such as Arts, Engineering, Law, Management, Medicine, Science, Statistics, etc. If your subject is not covered in this list, do not despair. It does not mean that we cannot assist you with your assignment. Fill up this simple online form (no registration required) and we will let you know whether we can help you or not. 4: What is the profile of your writers? A: Our subject matter experts hold at least a Master’s degree in their respective fields. Moreover, they possess excellent command over English language and have had outstanding academic track records. 5: Can I trust you? A: Absolutely. We have been in this industry for over seven years to know that word of mouth publicity and repeat customers are critical to our survival. Thus, we treat every order on a priority basis. We want you to be 100% satisfied so that you come back often and even refer your friends to us. 6: Why should I choose your services when there are hundreds of similar websites? A: The quality of an assignment can only be as good as the writers preparing them. At MyAssignmentExpert.com, we acknowledge our writers as our assets and pay them one of the highest page-rates in the industry so that you get the quality you pay for. Our competitors pay as less as 10% of the exorbitant amount they charge you for your assignments. Moreover, we never resell our papers. You will never find our papers anywhere else online simply because they are prepared from scratch and are never sold to anyone else. 7: How much time do you need to complete my paper? A: While the exact time depends upon your exact specifications, we typically require about one day to complete five pages (~1500 words). This does not mean that we cannot complete urgent assignments, however, quality cannot be rushed. If quality is what you are looking for, please allow us enough time to provide it. 8: How much will your service cost me? A: We prepare our assignments from scratch and our quote depends upon the subject, academic level, difficulty, urgency and resources provided. We need to evaluate your requirements first before we can give you a quote. Please send us your requirements by filling this order form. We usually reply within 1 hour. 9: How can I make the payment for your service? A: We use PayPal’s secure transaction gateway to accept payments. You can use any of the leading credit/debit cards or your PayPal account to make a payment for our services. 10: I am not satisfied with the quality of my assignment. What can I do? A: We have a revision policy which is fair to both our writers and customers. We provide free revisions for up to 14 days from the date of first submission. You need to send us a list of specific areas which need to be revised. Please avoid vague statements such as “make the flow better”. Also, note that if the revision is outside the scope of initial requirements, an additional fee may be required. 11: What if my assignment is delayed due to an emergency? A: Unfortunately, unforeseen emergencies are beyond our control. If there is a delay, we will keep you informed about the reason and nature of delay. To compensate you for delay, we will provide a free assignment worth up to 25% of the value of the assignment which was delayed. If the delay is unacceptable to you, we will give you a complete REFUND. 12: I suspect that my assignment is plagiarised. What can I do? A: To assuage the concerns of our writers, we offer free WriteCheck report as a proof of no plagiarism. 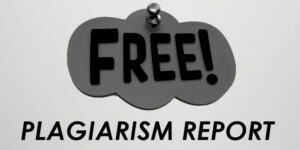 You can request your free plagiarism report up to 14 days from date of first submission. If we find that your assignment was indeed plagiarised, we will prepare a completely new paper at no additional cost to you on an urgent basis. Otherwise, we will give you a full REFUND for your assignment, no questions asked. 13: I have so many other queries but this FAQ does not cover them. Whom do I contact? A: We wanted to keep this FAQ as simple as possible, yet answer the most frequent queries of our customers. 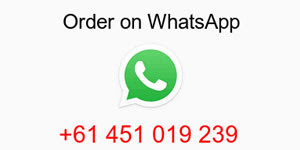 If you have any other query, feel free to contact us via email, Live Chat or WhatsApp (+61 451 019 239).